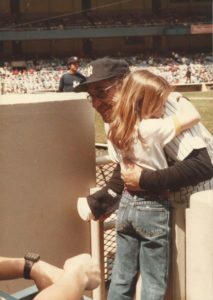 I was very lucky to grow up as the oldest grandchild of Yogi and Carmen Berra. Both of my grandparents were incredible people; one just happened to be a bit more famous than the other! My Grampa Yogi’s values, extraordinary accomplishments and lifelong commitment to the education of young people are the inspiration and foundation of the Yogi Berra Museum & Learning Center, which opened in 1998. I have been a board member at the YBMLC for over a decade, where I continue to work to promote and protect Grampa’s legacy so that generations to come can learn from his exemplary life. 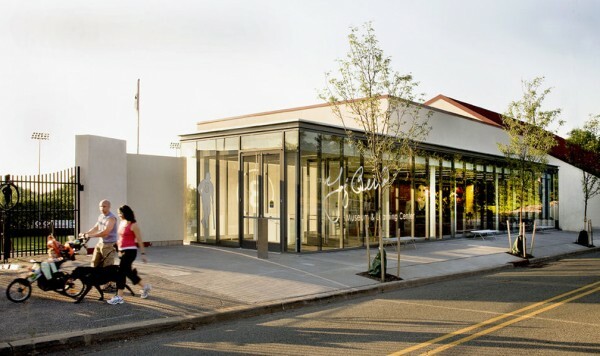 After an extensive renovation in 2011, the YBMLC has grown into the New York metropolitan area’s premier sports education center. The YBMLC is an engaging walk through the life and career of one of the most beloved sports figures of all time – as well as the most quoted American. From growing up in the Great Depression to his service during World War II to his legendary career as catcher of the Yankees’ dynasty from the late 1940s to early ’60s, Yogi Berra’s values and character have made him the great American success story. The Yogi Berra Museum & Learning Center – which empowers students through year-round character-based programs – is a poignant reminder to young people that they, too, can be anything they want to be. Educational programs are created in collaboration with faculty from Montclair State University as well as professionals in the world of sports, business and the arts. Our mission is to preserve and promote Yogi Berra’s values of respect, sportsmanship, social justice and excellence through inclusive, culturally diverse sports-based educational programs and exhibits. The Museum also hosts frequent book signings, Q&As and panel discussions on the hottest topics in sports. For more information or to get involved, please visit www.yogiberramuseum.org. 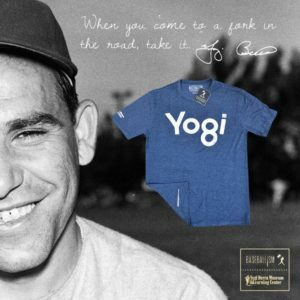 All proceeds from Baseballism's Yo8i t-shirt benefit the Yogi Berra Museum's programs.